"I am Rose Howard and my first name has a homonym." Rose is in the fifth grade with high-functioning autism, living in upstate New York with her somber, often inebriated father. Her mother is gone, although Rose does not know where or why. She assumes her mother left because of her. Rose's obsession with homonyms and prime numbers gives her days the structure she craves, but being the only student with an aide, and the only person who cares about rules (and who calls people out who break them!) her life is lonely and confusing. She understands that she is different, but doesn't understand why that angers her father or makes other children snicker and avoid her. As a narrator of this captivating book, however, Rose is perfect. Ann Martin has captured the voice of autism through her, and it's a beautiful voice. We share Rose's confusion, and fear and cringe a bit at her sudden outbursts of prime numbers that seems to help calm her. When classmates smirk, and her aide takes her out in the hallway to settle down, Rose's intense efforts at self-control are admirable. The little blond dog with seven white toes enters Rose's life when her father finds the collarless dog in the middle of a rainstorm. He brings her home to Rose. Wes has been at the local bar, as he usually is, and is late. Rose has already prepared and eaten dinner, and is working on her homonym list when her father yells at her to come out and help. He is holding a rope, and at the other end is a very wet dog. "You can pet her," said my father. "That's what normal people do with dogs." Rose is concerned that the dogs owners are searching for her, but her father insists, "If they didn't care enough to get her a collar, they don't deserve her." "Is she a gift?" I wanted to know. "Yes, she's a gift, Rose. She's my gift to you." My father had not given me many gifts. Rose names the dog Rain because she was found in the rain and because rain has two homonyms (reign and rein). The first night, Rain sleeps with Rose in her bed, and does so every night from then on. When Superstorm Hurricane Susan bears down on the region of New York and causes devastating damage, Rose and Rain shiver in bed together, listening to the trees crack and fall and the wind howl like a freight train. As the storm gradually winds down, Rose falls asleep at last, but discovers when she awakens that Rain is gone. Her father has let the dog outside, without her collar, into the still stormy morning. She calls for her for days, and struggles to understand why such a thing would happen, why he would let her out. She asks him repeatedly, and each question elicits more frustration, until Wes seems close to exploding. With the help of her Uncle Weldon, the one person who seems not only to understand but truly love Rose, she develops a plan to search area shelters for her missing dog. Rose's search coincides with her father's rapid decline. He's already demonstrated his instability and violence, and her wariness around him is heartbreaking in its almost creature-like innocence. Rain had given Rose companionship as well as protection. Without her, Rose is vulnerable and frightened. She relies on her discovery of new homonyms or prime numbers deciphered from people's names to give her signs of hope. One positive outcome is her classmates' overwhelming compassion for her loss. Each has suffered a loss as well from the storm, and seems to no longer find Rose's behavior odd or comical. The last half of the book is a rush towards finding Rain, but of course, the discovery holds so much more, and we are carried along in Rose's torrent of dismay mixed with determination. You will not put the book down, and you will need tissues nearby. 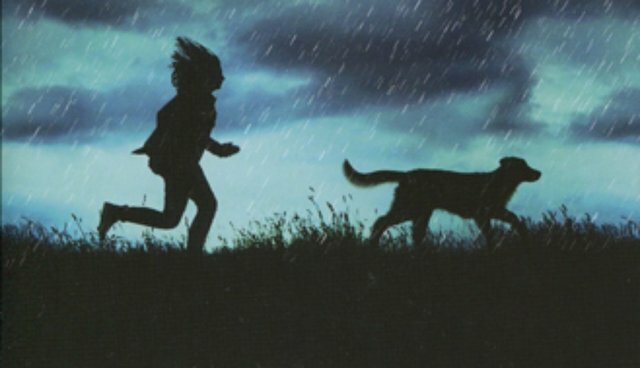 Although the intended audience for Rain Reign is young, the story is ageless, and will find a wider readership, as with Because of Winn-Dixie, and other middle-reader titles. Age should not define what makes a book good. And the growing literary explosion of autism benefits from the story of Rose and her little dog. To read more about this and other animal titles, please visit: www.booksforanimallovers.com.